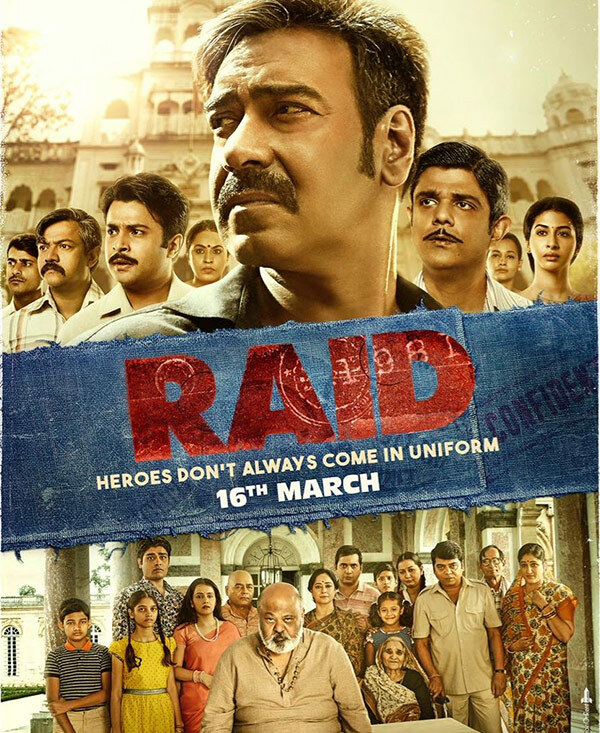 Raid starring Ajay Devgn, Ileana Dcruz and Saurabh Shukla is all set to hit the theatres on 16th of March, 2018. Set in Lucknow 1981, Raid narrates the story of one of the biggest financial crimes that took place in the history of the country. Raid tells the story of Sharda Prashad Pandey, an IT Commissioner of Lucknow who had raided the house of businessman Sardar Inder Singh in 1981 and recovered assets worth Rs 1.6 crore in cash and gold. A source working closely with the film production added, “It is an unsaid code amongst IT officers that they never spill the details of the searches they’ve conducted”. Commenting on the valour of this ‘enigmatic man’, Sharda Prashad Pandey, director Raj Kumar Gupta said, “Everyone wants their story to be real. He was clear that we should not fictionalize it so much that the reality gets buried beneath”. He further added, “Anybody who is parting with an episode of his life would want to see it being told in a responsible way. My body of work helped me win his trust”. Gupta was intrigued by the entire occurrence of 1981, when he learnt that the IT Raid went on for 18 hours with 45 people present only for the counting of notes. He observed that “The press wasn’t as widespread back then, so the information in the public was limited”. After a thorough research on the code of confidentiality that the officers maintained back then, he further added, “Officers never told their family members where they were going. A lot of heroic stories have got lost from those times. I hope to highlight them”. 16 queries in 0.680 seconds.